Talking about the beauty of nature in Indonesia is indeed endless. Indonesia indeed has so much natural wealth. One of Indonesia’s natural wealth is Natuna Island. 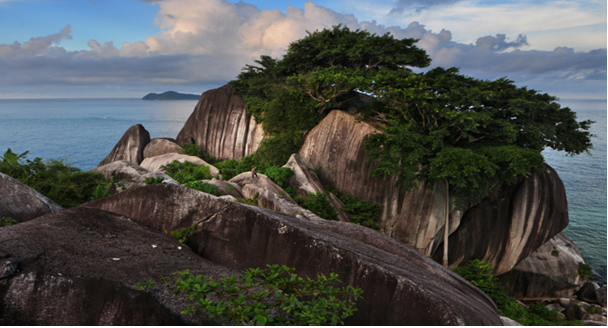 If you are foreign to this island, try to see the explanation of Natuna Island whose beauty makes everyone amazed. Administratively, Natuna Island is included in Riau Islands Province (Kepri). 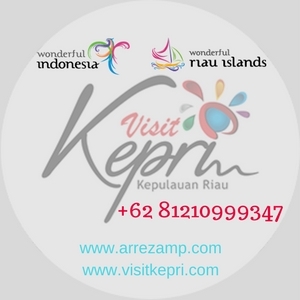 Where the Riau Islands are famous for its exotic and interesting islands. Famous for its beautiful coastal beaches, beautiful coral reefs rich in marine biota and amazing marine and clean. Anyone who heard the name of this Archipelago would not escape all that. And one of the beauty in Riau Islands is Natuna Island. Natuna Island is a group of islands bordering the South China Sea. The outer islands of Natuna are defined as the outer border of Indonesia. 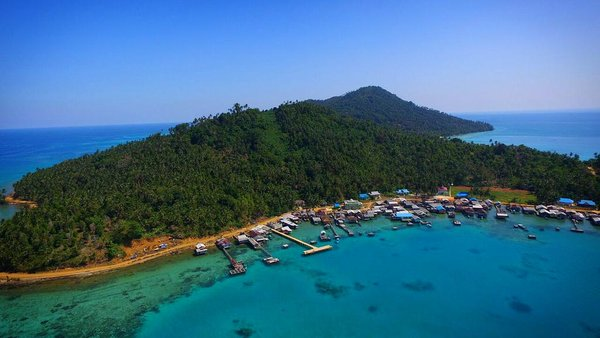 Natuna Island is known to possess such extraordinary natural wealth, and contains abundant mineral wealth, such as sand, natural gas, and petroleum. It is estimated that the petroleum reserves in Natuna reach 1,400,386,470 barrels. Meanwhile, natural gas reached 112,356,680,000 barrels. Moreover, Natuna Island is located on the Indonesian cruise line. That is Hongkong, Japan, Korea and Taiwan shipping lines. So the island is a bone of contention. Natuna also has a unique animal named kekah. 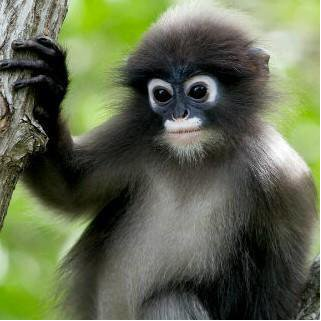 Kekah is a rare primate animal and only in Natuna. Kekah also has the Latin name Prebytis Natunae. Animal breeds are threatened with extinction that is so great and serious. One is the threat of habitat loss, due to land conversion and hunting. Because in the community if this animal has a high value of selling so high and expensive. Lots of who want to keep this one animal. Because the morphology of this animal is very funny and also unique. His body has thick black fur and is interspersed with white fur. And in the face have features such as wearing glasses. This animal is very easy to tame and its maintenance is also very easy. Kekah loves to eat a variety of foods such as rice, bread, milk, bananas and vegetables. Kekah is also regarded as an enemy of the peasants, because the ordinary people ate the results of plantations such as fruits, tubers and vegetables. Due to a lot of deforestation and widening of land. Kekah is threatened with extinction because of its declining habitat. Even so we must be able to make these animals remain because the kekah kekah is an original fauna that only exist in Indonesia. In addition Natuna Island also has a nickname, the Pearl At The North End. Because natural beauty Natuna famous very beautiful and extraordinary beautiful. 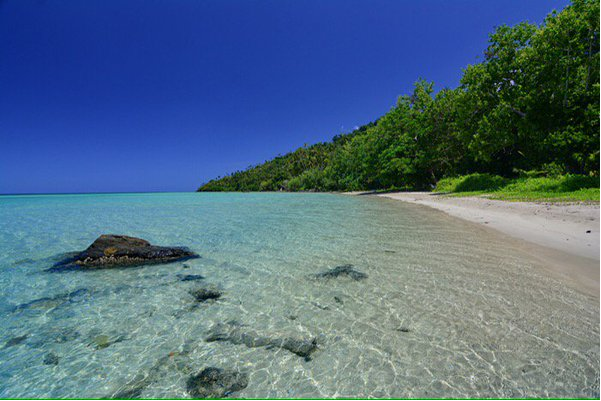 Natuna Island has beautiful natural beauty that is still unspoiled by many people. And has such amazing tourist attractions. Some of the attractions owned by Natuna Island are as follows. Pulau Tiga lies in the western part of Bunguran Island. Pulau Tiga is one of the subdistricts in Natuna Regency. To go to Pulau Tiga, you can ride a small wooden boat or called a pompong. Because Pulau Tiga is largely separated from the big Bunguran District to Pulau Tiga, it must cross the sea first. The trip from Pulau Bunguran to Pulau Tiga is not long, only about fifteen to thirty minutes away. Pulau Tiga is composed of large islands and small islands. Pulau Tiga is fairly virgin and has a beach with white sand and sea water is clean. The number of trees that cool and still beautiful add to the beauty of Pulau Tiga when visited. Even the inhabitants are also very nice and friendly. Great Mosque Natuna, famous for the grandest religious tourism in Riau Islands. This mosque is also commonly known as the Great Mosque Natuna. This mosque is so majestic and largest in Riau Islands. Even what makes it interesting from this mosque is its dome like the dome of the Taj Mahal. 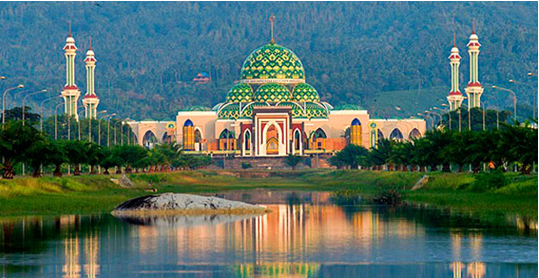 Great Mosque Natuna is a mosque that became the pride of the people of Natuna. The ornaments in this mosque are inspired by Al-qur’an. The central part of the mosque is illuminated by the natural light of the dome painted calligraphy floral. This mosque is extraordinary beautiful when viewed in any aspect. The design is very conditional with Islamic philosophical values. Senua Island is located near the capital of Ranai, in the village of Sepempang. The journey to it took approximately fifteen minutes. To get there you can rent a pompong or boat with a small size. There is something unique if you travel to Senua Island that is the prohibition or prohibition. Like do not say harshly or talk dirty, cursing and the like. On the island of Senua there is a swallow nest cave, in addition to the beach on the island of Senua is a place that is visited by turtles that are laying eggs. If you want you can see the beauty of South China’s Kaut from the top of this island. You can also see Mt Ranai and the mainland of the great Natuna Island. In addition you can also snorkeling trips on this island because coral reefs are still well maintained. 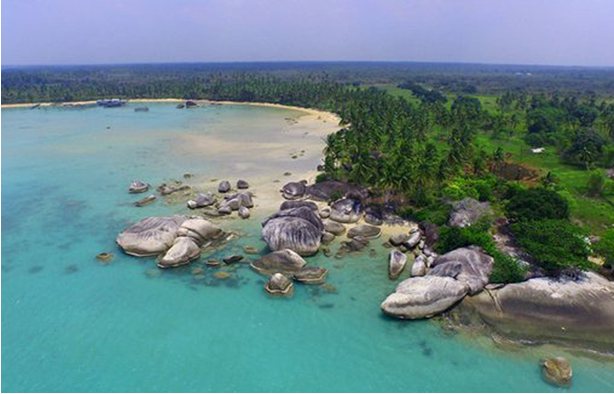 Tanjung senubing is a beach with hills, surrounded by giant granite boulders. The biggest rock amongst others is Batu Sindu. It’s right at the end of the coastal bay. This stone has a height of 5 floors of a building, and overgrown with many vines. Tanjung Sinubing is located directly facing the South China Sea. Because it faces directly to the sea, until the current at the beach of Tanjung Senubing is quite heavy. And also a lot of steep rocks around it so it is not recommended to swim. However, there are other ways to enjoy the beauty of Tanjung Senubing is to relax on granite stones and watch the beautiful sunset or sunrise. Sahi Beach is located in North East Bunguran District, Natuna. This beach has its own uniqueness, which is very similar to jars. That’s why this beach is called Sahi Beach, because Sahi means jars. The shape is oval and there is a hole or cave in the front of this beach, and there is a small island about ten to fifteen meters behind this beach. At low tide, this beach will blend with the small island behind it. So you can go on foot or on a motorbike. But if the water is in high tide, you can still go there by swimming. But be careful with the rocks in the sea. Hiu Mountain Waterfall is located at Bukit Durian, Ceruk Village, Northeast Bunguran District, Natuna. Here are some artificial ponds that contain freshwater species that are kept. Visitors can also feed with the feed that has been prepared by the guards there. Shark Mountain Waterfall has its own privileges. As the sun shines, the water here will not warm but it still feels cool. Here also there are children’s play facilities, as well as outbound facilities on the outside. Until the trip here will be fun. Alif Stone Park is located in Sepempang Village, East Bunguran District, Natuna. Alif Stone Park has millions of unique rocks. The color and unique shape make you amazed by its beauty. The area of ​​the park is about three hectares. 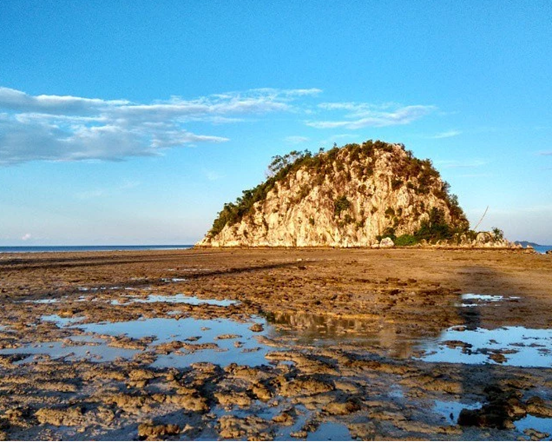 Not only the rocks here but you can also enjoy the beach and its incredible natural scenery. To reach here from the city of Ranai not so far away. Simply take approximately ten to fifteen minutes by way of two-wheeled vehicles or other transportation. For some people especially Indonesian people themselves, may still feel alien to the name Alif Stone Park. Though the foreign tourists like Singapore and Australia with a boat that often come to the island of Natuna. The view of the beach is very beautiful with decorated stones scattered on the beach to attract many tourists come here. The most unique and special is the name Alif on one of the stones in this stone garden. Because among the stones there are stones that have a shape like the letter Alif, that’s why called Alif Stone Park. Although there is no adequate facilities but you can feel the beauty of the sunset between the crevices of rocks and beautiful natural panorama here when the afternoon. You will also want to come back again after you know the beauty of nature in Alif Stone Park. 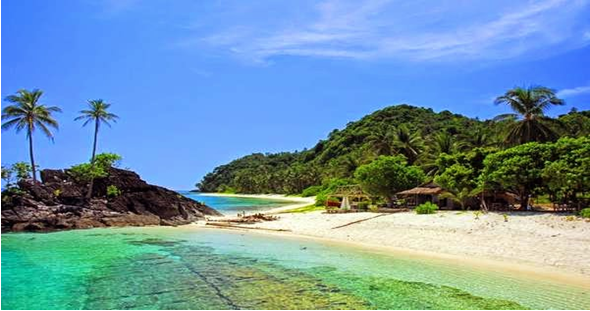 Enjoy the white sand and clean blue sea, at Pantai Sengiap you will find it. The ocean faces directly on the loose ocean. This beach length extends from Tanjung Sujung to Pengadah Village. But you must wear a wide-brimmed hat or sunblock because the weather on this beach is very hot because there are no shade trees around the beach. Do not forget you also have to bring a snack or lunch or lunch to this beach. And you will be amazed by the uniqueness of sand on this beach, the article when you step on this coastline then the sand will sound like a whisper. 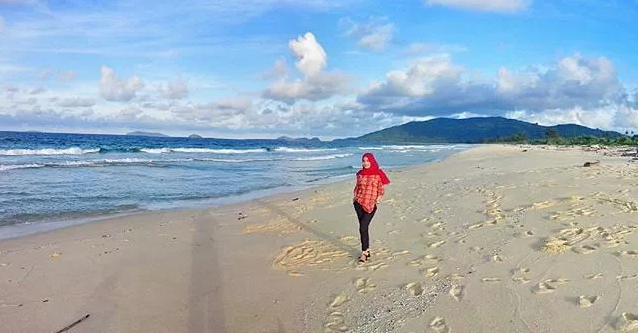 Sisi Beach is located in the district of Serasan, Natuna. This beach length extends from Entebung Kampung Decak to Teluk Resak, Kampung Jermalik with a length of seven kilo meters. Beautified with blue sea and calm waves. This beach also has interesting facilities such as, folk games, lodging and entertainment local bands. Not to forget there are also airports and hotels. The potential of tourism on this beach is actually very large. Even this beach could rival the already famous beaches in Indonesia. The journey to get there must take the sea route from Ranai to Serasan and takes about ten to eleven hours. Sedanau Island is a plot of land smaller than the continent. And surrounded by a vast ocean, it lies in Natuna, Riau Islands, west of Bunguran island. The island is known for its wealth of natural resources, such as fish and coral reefs. This island is very unique though small but the island is so modern impressed. Although above sea level, however, the streets are already beautifully paved. The township on Sedanau Island is enchanting, the houses so neatly elegant and beautiful when only made of wood. Here you can see the stunning scenery, the sea with a vast turquoise color. Above the beautiful sea was installed keramba-keramba and houses and fish farming as a livelihood of the surrounding population. To get there you have to take a quick ferry from Bunguran to Sedanau, which will take about thirty minutes. Marus Sand beach is located in District Bunguran Barat, precisely in Pulai Sedanau, Natuna. 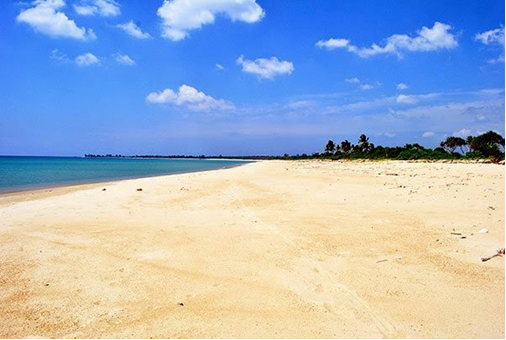 This beach is famous as the most important attractions in Sedanau Island. To get there, from Natuna must be aboard the ferry first cross to Sedanau Island. Then you can walk to Pasir Marus Beach. When traveling by ferry, you will be treated to various kinds of beauty that lies in plain sight. The number of mangrove trees or mangroves around and when in the sea you will see the beauty of the sea that decorated many islands around Natuna. This beach is not so long, only about five hundred meters. But even so, this beach is very beautiful. The sand is white and clean and the blue sea is stunning. The ocean’s depth is very gentle, so it is perfect for children who want to swim in the sea and not harm. The air is also so fresh, makes you feel at home lingering here. 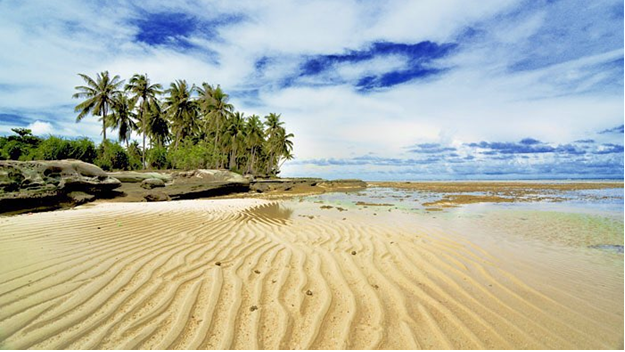 The location of Batu Kasah Beach is located in South Bunguran Subdistrict, has a beach length of about five kilo meters. On the surface of the beach almost in blanket by white sand. When the sea pairs of beaches until the edge of the sea boundary reaches about ten to fifteen meters. There are also thousands of shady trees. And a tall coconut tree rose. This beach is still very natural, with clear and clean sea water make you will be very happy and want to immediately splash into the sea. The most amazing of these beaches are the many arrangements of granite stones that complement the beauty of this beach. With various forms of stone ranging from oval, round and even triangle. This beach you can also fishing, usually people who like fishing will definitely to this beach for fishing. Because here too there are many types of fish catches, so fishing will certainly come to fruition. Buton Bay Beach is located in North Bunguran District. This beach is famous for its beautiful panorama, access road to the beach is also quite easy. The beach here is also so beautiful, can see the stretch of white sand as far as the eye can see, the blue sea is clean and spacious. Pantai Tanjung is located in District Bunguran Northeast, Natuna. This beach has a coastline about three kilometers, and has a beach width of about forty to a hundred meters. You will be completely suguhi an exotic landscape on this beach. In the western part of the coast you can see the beautiful scenery of Ranai Mountain. And to the east you will be presented with views of the sea and Senua Island. Tanjung Beach is a tourist attraction that has long existed, but the management is still not good. The facilities and infrastructure that exist in this beach is the same just different with the addition of toilet facilities. The facilities here are not only toilets but there are also gazebos. And there are some food stalls established by the surrounding community. Already many food vendors around this beach, let alone the typical food that is in Natuna. For example Mando Tipeng, kernas, pak ipok and others did not escape there are also young coconut seller with a sufficient price in the bag. 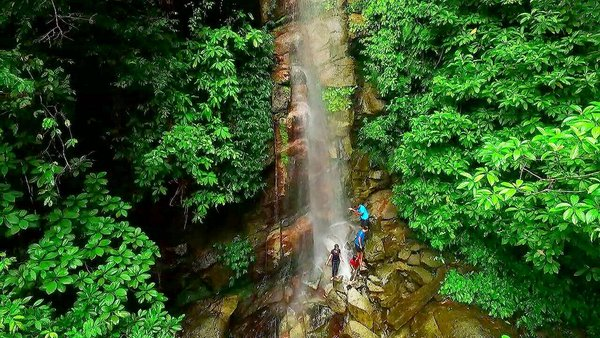 Not only the stunning views of the beach, in natuna there is also a very stunning natural scenery, that is Mount Ranai Waterfall. Located in Ranai Darat Village, Natuna. Distance from Ranai city about three kilometers by vehicle and walkway or you have to walk one kilometer. Mount Ranai Waterfall, has great potential to be developed. Because the place is still beautiful and natural. The area is filled with many trees that are still shady and large, the water debit is never dry despite the dry season. On the way to the Falls you will find many wild but harmless monkeys. Although not yet managed by the local government, but the scenery there is nice and comfortable. Because it has been developed by the community itself. And the more visitors the day. Those are the beautiful places you can visit while on Natuna. Although there are some places that are still not well managed, and development is only done by the surrounding community. But the tourist attractions in Natuna is amazing. Especially if the local government want to develop it. It is certain that the attractions in Natuna will be like the most beautiful paradise in Indonesia. And will not be outdone by other tourist attractions, such as Kuta, Lombok, Raja Ampat, or Bunaken. In addition to the eye-catching tourist spots. It turns out Natuna also have a distinctive culinary, which will make your tongue addicted to continue eating again and again. Even once you try to fall in love with the special cuisine on this Natuna Island. What are they? Food called kernas is made from fish and sago. It does not look good shape, but after touching the tongue, sure this food will be a food that sticks in your heart when eating it. Moreover, the fish used is still fresh fish so it is definitely fresh and very delicious. Want food like food in Japan, served raw but still tasty? In Natuna there is also Latoh Silong. For those who have never tried, may look a little strange with this one food. 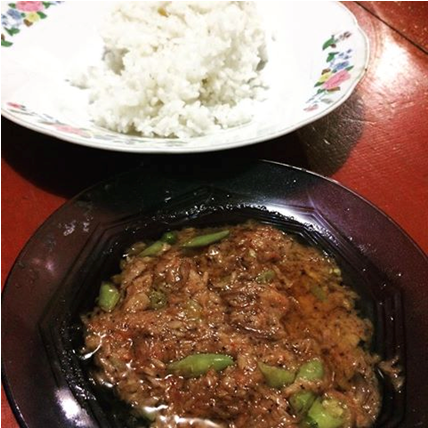 Latoh Silong is usually served with chili green chilli sauce. 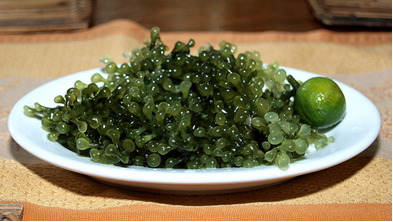 Even Latoh Silong is believed to be very good for health. 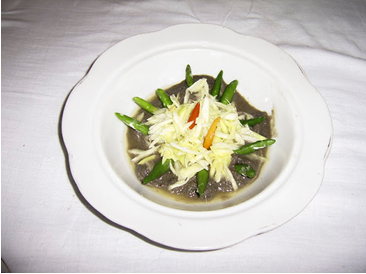 Tipeng Mando is a typical Natuna food whose basic ingredients are tuna, usually mixed with coconut and served with special chili sauce. It turns out that Natuna also has a unique sauce belonging to Natuna itself is Pedok or Pedek. This sambal is made from anchovy which is fried, has a distinctive taste between savory and salty. Pedok / Pedek is very easy to find in the area around Natuna. This food is a kind of chili sauce made from small prawns. Taste the typical shrimp with a tasty salty taste. More delicious calok usually added chili and flavor. Surely you will be hooked after eating it. 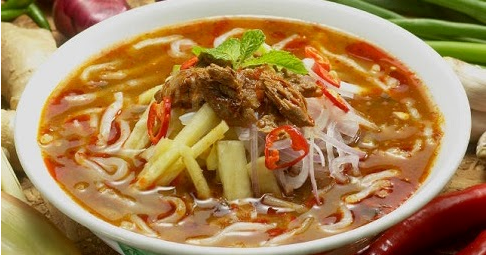 Lakse is traditional Natuna traditional food. 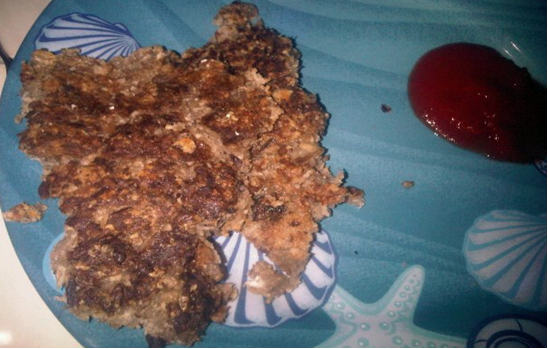 This food is made from basic ingredients such as sago flour and mixture of tuna and anchovy. In addition to spices spices typical Natuna city. This food is also a typical culinary of Natuna. But actually this kind of food you can meet abroad exactly Malaysia. But than all the way to foreign countries in Natuna you can find. 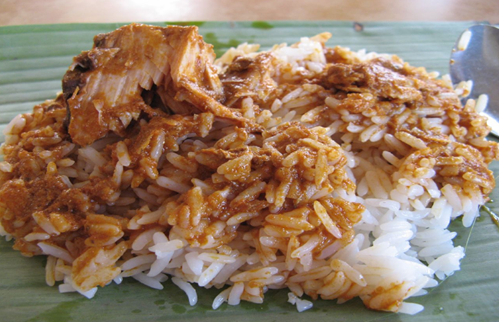 This rice is very similar to mixed rice or nasi uduk but with typical Natuna herbs. For those of you who just felt it would be addicted to this special Natuna food this one. That’s Natuna’s special food that you can enjoy while visiting Natuna Island. Do not miss the culinary tour while traveling to Natuna. 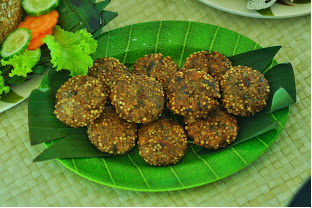 Guaranteed to eat and try it you will immediately addicted and want to eat this Natuna typical food. Most are indeed made of marine fish, conditioned by the main livelihood of the Natuna community, mostly fishermen. So the typical food of Natuna Island is mostly made from marine fish or food that comes from the sea. Besides having a great natural wealth and culinary that arouse the taste. It turns out Natuna is also a source of wealth of culture, whether arts, history or cultural heritage, Natuna has the wealth. No wonder if Natuna is contested by another country. Because Natuna is a strategic place that is as a place of transit trade from various countries. Eat Natuna many have a variety of crafts or arts. And that art is still maintained from time to time. Traditional art in Natuna from ancient times has mixing such as Chinese, Siam Malays, Arabic. For example mendu, brat, zapin, chicken sudur, hadrah and so forth. Mendu art is usually played colossally for seven nights. In the past the people used the sheaths of the heavenly people. The sheikhs are raised or summoned by the rich maddun or a noble. Because playing with a shepherd or a subtle person can make many people interested to see and hear musical instruments and singing madun. In this stage art is only made simple. The stage roof is only made of sago leaves while the left and right limits are made from coconut leaves, ivory leaves and betel leaves. As well as some woven diamonds that adorn every place, especially on the seat called the god madun, he berlandun, give titah and so forth. Mendu art tells a fairy tale that is in the kingdom of Antapura is led by a King named Raja Langkadewa. This King has a Princess who is so beautiful so pretty to be famous everywhere. The name of the Princess is Siti Mahdewi. Her beauty was widespread to the sound of a king named Raja Laksmalik. And the princess dipinanglah by King Laksmalik. But the proposal was rejected by the father of the princess and made the wrath of King Laksmalik. Not accepting the rejection, King Laksmalik condemned the Princess to be a white elephant. And the father released the white elephant into the wilderness. Until down the younger brother Mendu then followed also Dewa Mendu. And they meet the white elephant. After a long meeting, they both managed to restore the white elephant in its original form. Then they argue to get the Princess because of being enamored by the beauty of the Princess. At the end of the story, Dewa Mendu’s younger brother succumbed and Dewa Mendu succeeded in editing the Princess. Mendu art is the main attraction. This theater can never stop to keep the Natuna community interested. You will also be interested in this art. In addition to Art Mendu Natuna also has Game Gasing Natuna. This folk game has been around since ancient times until now. This game is usually used as a regular activity Natuna community. However, this game is indeed a game that has been worldwide even in various cities in Indonesia. This traditional game is very simple and fun, can be done by children or adults. Before the match, the petanding go to the forest to make the top first. Gasing used is made of wood. Usually the wood used is wood resistant, wood rustle, and wood mentingi. Because the wood is believed to be the most powerful wood. When finished make them start ready to compete. Gasing game is indeed very popular by the community Natuna. Because this game gives its own entertainment in the Natuna Territory. We as Indonesians should be proud to have an island that has a tremendous natural wealth. Especially the mine’s wealth. The resort is also not less interesting. The place is still natural and not much touched people make the places on the island Natuna look beautiful. And a lot of unique culture and art that you can see on Natuna Island. Pearl nickname from the North was indeed not wrong given to the island of Natuna. Because indeed Natuna Island has a variety of unique and interesting beauty to see and visit. So what else are you waiting for? If the holiday has arrived especially if long holiday you can travel here and enjoy the various natural wealth of Natuna. Starting from the tourism, culinary and culture is so amazing. Do not forget to always take pictures of the fantastic natural beauty. To be a memento at home. Invite your friends or family to visit there, and take experience or an interesting impression after from there. Happy holiday buddy. Have a nice holiday in Natuna Island. Wow… so long written review, GREAT! I am curious with the Shark waterfall. Is that waterfall? It looks too short that can be called a waterfall. Hehe. 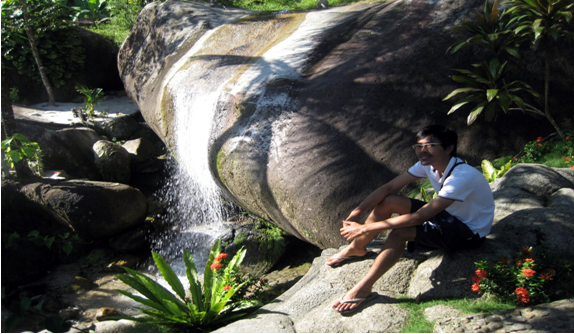 Overall, Natuna is amazing…. I love going there and used to go there for four times.